إن فندق Namuka Bay Resort بموقعه الممتاز في هذه المنطقة السياحية هو نقطة انطلاق جيدة لنزهاتك في هذه المدينة المذهلة. يمكن من هنا للضيوف الاستمتاع بسهولة الوصول إلى كل ما تقدمه هذه المدينة النابضة بالحياة. يقع هذا الفندق الحديث على مسافة قريبة من المعالم السياحية الشهيرة. إن Namuka Bay Resort حريص على توفير الراحة للنزلاء، فلا يوفر الموظفون جهداً في تقديم أفضل الخدمات وضمان حسن الاستقبال. يقدم هذا الفندق العديد من الخدمات الكفيلة بإرضاء أكثر الضيوف تطلباً. لقد جهزت هذه الإقامة الفندقية بعناية فائقة لتوفر مستوى عالي من الراحة. في بعض الغرف يجد النزيل اتصال لاسلكي بالإنترنت, غرف لغير المدخنين, خدمة الإيقاظ, مكتب, ميني بار. كما أن مجموعة الخدمات الواسعة الموجودة في الفندق لضمان راحتك تترك لك الكثير من الخيارات لقضاء وقتك أثناء فترة إقامتك. إن Namuka Bay Resort هو خيار ذكي بالنسبة للمسافرين، فهو يوفر إقامة هادئة ومناسبة للاسترخاء. يرجى ملاحظة أن بوسع الضيوف الاستمتاع بتسجيل المغادرة المتأخر حتى الساعة 2 مساءً. تتوفر خدمة نقل خاصة من وإلى مطار نادي مقابل 200 دولار فيجي لكل زوجين. يرجى إبلاغ منتجع Namuka Bay مقدماً إذا كنت ترغب في استعمال هذه الخدمة، وذلك باستخدام تفاصيل الاتصال الموجودة على تأكيد الحجز. للحصول على إرشادات حول كيفية الوصول إلى المنتجع من مركز مدينة نادي أو من مطار نادي، يرجى الاتصال بالفندق مباشرةً باستخدام تفاصيل الاتصال الموجودة على تأكيد الحجز. I had a wonderful time at Namuka. Staff were always friendly and welcoming, still your privacy is always respected. I stayed in a beachfront unit with a shared veranda, just a stone throw away from the beautiful lagoon. 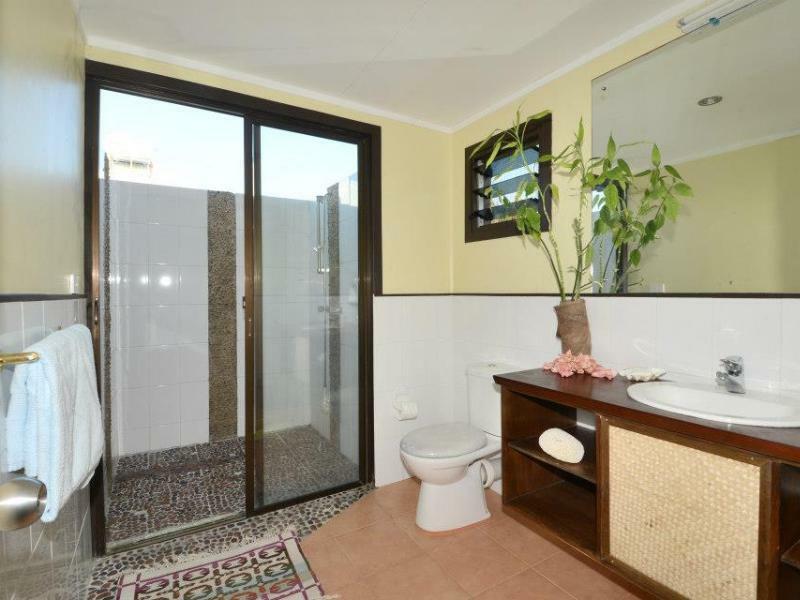 The unit was really nice with an outdoor shower. Snorkeling was pretty okay for the coral coast, but of course not as stunning and diverse as on the outer islands. The food was great, and although the menu is limited, the owners offered additional meals based on what they got out of the sea and from neighboring farmers. Pretty relaxed and approachable. You need to be aware that internet connectivity is limited, and electricity only runs from 7pm to 7am. I had no problem with that and even liked it. I found inner peace and relaxation there..
Good place to chill and relax but avoiding the tourist spot. we enjoyed the quietness and nature so much with good food from the resort. We interacted with the staffs like family and we share the laugh together. We will definately be back again. Our group stayed at Namuka Bay Resort in early March as part of our ride around Fiji and we thoroughly enjoyed the stay here. Tucked away in a quiet little corner just west of Sigatoka, along the end of a gravel road, the location is amazing - definitely off the beaten track if that's what you're looking for! Had an issue with the booking, but it seemed to be an Agoda problem - something they need to rectify as other smaller resorts had a similar problem with them too. The resort itself is nicely laid out - several beach front villas and a dorm - it's definitely all about the view here! Facilities are quite basic and the menu is limited, but the food you get is substantial and absolutely delicious! Proper Fijian cooking and very fresh! The staff are extremely friendly also. 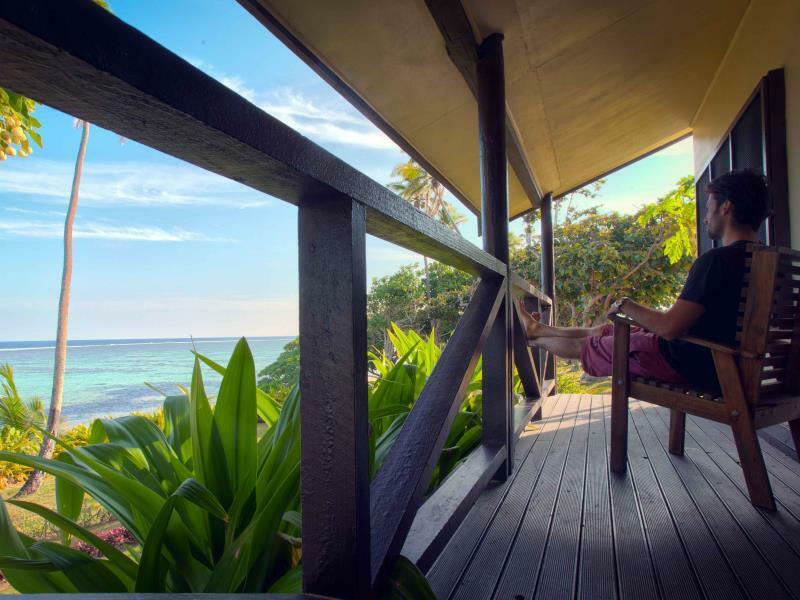 Would definitely recommend to anyone looking for a quieter, simpler stay in Fiji without the bells and whistles - just a nice relaxed location with great views, nice people and great food. We'll be back next year for sure! Very far off but also therefore peaceful. We slept her 5 nights and had a day trip to Suva. It is possible to snorkel and kayaking, but the Yasawa Islands were much better for this. There are nothing else than the resort so you are forced to buy food at the resort. The food is little pricey but quite good. The chef Chris is a very nice guy and is very helpful with everything. Pros were the location away from the resort scene, beautiful, clean, quiet beach with plenty of exploring for a few days' time, and wonderful, warm, professional staff. Cons were that they forgot they were supposed to pick us up at the airport after a red-eye flight, and that they didn't have some of the dishes offered on the sparse menu. The local dishes that we tried were delicious, though! The small size of the resort -10 rooms- ensures a quiet stay with plenty of privacy. The rooms are simple and the location is a little bit out of the way with limited facilities but the food and the hospitality of the manager is amazing and fantastic value for money. The view was amazing. Exactly what I pictured Fiji to be. The staff were very friendly and the food was fantastic - no real menu but cooked whatever we requested. There aren't many cabins/bures so it felt like we had the place to ourselves. We also organised for a driver to show us some of the local area. He was great and the price was very reasonable. 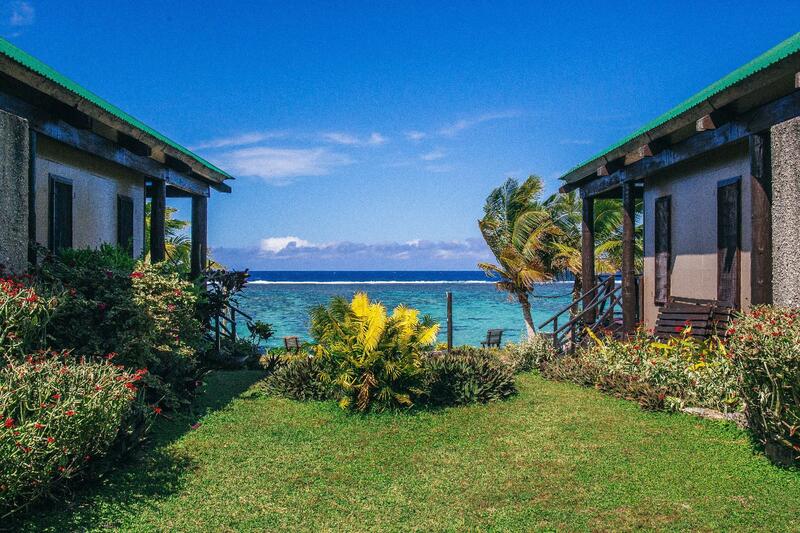 We would definitely recommend staying here for a few nights as part of your Fiji experience. Beautiful remote location. Escape the hustle and bustle of the busy resorts, and just relax here. Such friendly and helpfull staff. Simple no fuss rooms, almost in the water! Excellent tasting meals at a fair price. Needed more variation in the menu offerings tho. The room was spacious and the breeze off the beach was fantastic. The coral coast can be quite rocky and have sharp shells, coral etc but they actually have a bit of soft pleasant sand on their beach. I wouldn't call this an eco lodge, which right or wrong is more of what we were expecting. They run a (slightly loud) generator all night so guests can have power, and the property can use the electricity too. The gardens are not ample to supply the property with vegetables, so they must buy quite a lot. Chickens roam the property along with cows, no issue except for the roosters who alarm at 330am until sunrise! We didn't get a full nights sleep the entire stay. The roosters were surprisingly awful. Noise from neighbors can also be an issue as villas have a shared wall, deck and floor structure. The beds are very spartan and small/ hard. A few coil springs on ours were poking their way out. Lastly, the shower while beautiful looking is not very comfy on the feet nor is the water pressure sufficient, and basically no hot water for us. I suppose it's solar, so you only get hot water when the sun is shining? This place could be great, but needs to pick a direction. ..either totally off the grid rugged nature immersion or move up market and provide more creature comforts. We booked for a 6 nights and slept only one night as dirty, smelly, uncomfortable and very expensive. I would recommend the owner to reinvest and renovate the full place and advise on the web site that using electricity to recharge device accrue additional cost. I would also advise that there is nos air conditioning, no fridge and no shop around. Terrible. The owner said the villas were built in 2011 but they already look like they haven't been maintained for ten years. Same is true for all other 'facilities' on the grounds. Do not waste your money. Stay was OK, bit of a mission getting there as the roads are very basic. No vegetarian options on menu. ecoresort? Great stay at the resort itself and all its staff, however the managing directors behavior is disgraceful which lets the business down. If you want a simple and basic accommodation away from other resorts, restaurants and stores then this is the place to stay. You won't have any electricity until 6pm and even when you do the outlets do not even work. *Also if you plan to pay by card, you will have to do it during the time they have electricity. This was our first stay in Fiji and we stayed in a standard room for one night. We looked into cheaper ways to get to this place but we were very glad we got the hired driver and forked over the 100 FJD. It is difficult to find and it is a good 12-15min drive through a dirt, rocky road. We took the tips of previous people and told our driver to take us to a supermarket to stock up on water and snacks. Best idea ever since their restaurant is the only place to get food. The plus side of staying here is that the staff is very accommodating. One of them showed us the nearby cave, told us some stories about the island and also took us to an 'archeological site' where cannibals once lived. It was all free. Do remember to bring mosquito repellent when hiking in the bush because they will eat you alive. The beds were comfy but the bathroom is quite smelly and the shower was quite cold. If you're not afraid to rough it then you'll be fine. I'm glad this was our first night stay because after we stayed at various resorts, our accommodations and choices for food started getting better. If you like simple then this is the place to stay. Then again if you're a budget flashpacker then you are better off at Mango Bay Resort which is also on the Coral Coast but 40 minutes farther. It cost us 15 FJD for them to drop us at the nearest bus stop the next day. From there, public transportation was WAY cheaper to get around. We hopped onto a small, local van to take us into Sigatoka which cost us 2 FJD for 2 people. Then took the Pacific Express for 8 FJD for 2 people to drop us in front of Mango Bay Resort. Our stay was terrible .mThe hotel is 6 Kl down a rough muddy road. Our room was awful. It had a bare plywood floor, cold shower that barley had any water coming from it. The hotel had no electric except after 6pm each night. There is an expensive outdoor style small very basic restaurant and nothing else anywhere around so you are stuck eating whatever they may have and everything costs a lot. The hotel ad said free internet but it's $8 an hour and there is NONE except after 6pm at night when they turn on the electric. Don't stay here. We stayed 3 nights for Easter. It was a very welcome break from work and town life. The staff here are friendly and welcoming. We felt very safe and comfortable. It is a simple place for a relaxing rural break, to switch off phone and enjoy time out. My wife and I had a lovely time with our baby daughter. I have stayed there in off season; most of the time, I was the only guest. The bure is a semidetached house, so you share the veranda with your neighbours. Due to the reef, swimming is safe in shallow clear water (1-2m). The meals are prepared locally, Namuka fosters its own vegetables and livestood (the later far away from the bures). I opted for the full board - and enjoyed fresh food everyday. Breakfast, lunch or dinner will be brought to your veranda or will be served at the restaurant. There are no shops around Namuka, very remote, so dining out is no alternative. The local staff was very friendly and helpful. Some activities are offered, like day trips to nearby attraction which I thought were overpriced. Transfer from and to the airport takes an hour and costs more than a one night stay. As I stayed there, a new manager just arrived who was not acting very professional; this might have improved. Internet was only offered for writing a comment at an internet travelers review website at the end of my stay (in the presence of the manager). The bure got no TV, but therefore, you can enjoy the nighttime sky. Relaxing, great shell hunting, & friendly staff. Our stay was enjoyable, we wish we had more time to enjoy it more. We only stayed for two days and the time we did stay, it was relaxing and nice. The only downfalls were the lack of wifi connection, we did pay to get internet time but it was so slow that we never got a real connection. Besides that, the food we ate was pretty flavorful and good. Since its location is far off from any restaurants or the grocery, the food here was the only available, so I would recommend bringing snacks and your own alcohol. The staff was very friendly and helpful, they were always smiling and any time we needed anything they were there.